Omg this post is so on point! 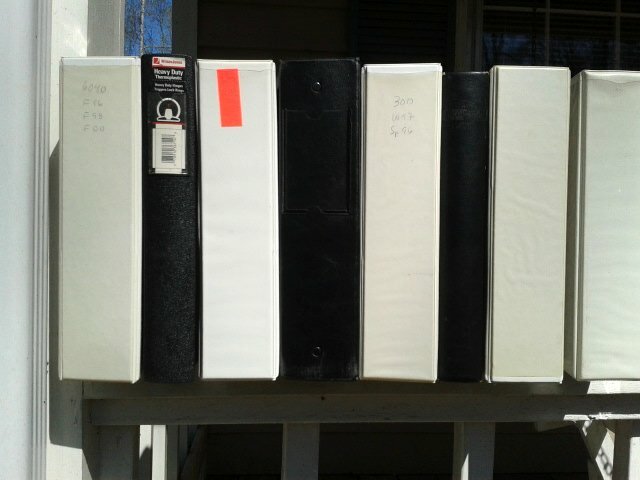 I am definitely guilty of keeping binders for the future day that I absolutely need to organize and file papers. That day has never come. So now I have binders…along with packs and packs of tab separator sets and plastic sheet pockets that I haven’t used or looked for in over a decade. They absolutely need to go! Ours tend to have two rings (a European sub-species? ), but the principle is the same! Ah yes, the A4 page; we know it well from our UK days. Probably there is a two-ring binder around here somewhere….